In today’s time, it has become really difficult to get organic traffic to the website. If someone tells you that getting organic traffic is just really simple, then don’t listen to them. With increasing number of websites, the competition to stay ahead in the Google ranking has become fierce. It is vital to have SEO content writing so that your website will look scalable. There are paid ways to attract more traffic towards the website, but if you are working towards writing more SEO articles then you may receive that chunk of organic traffic. Think like, what if the paid ways get vanished one day, what will be your last resort? Then no one will be able to find your content. In such case, your content should be so much in accordance with the SEO that your website should get flowing with the organic traffic. Your aim should be such that, the visitors must spend more time on the website. So considering these factors, I am going to discuss how you can create content for organic search traffic and win the race. First thing first while writing content for the website: keyword research. The tools like Google Keyword Tool Planner can help you find the apt keywords as per your brand. Start typing the phrases related to your brand and what would people search on Google. The keyword planner will give you the right keywords that you can use it in the content. For instance, if you own a cooking website and have recipes for many dishes. Then your keywords must be like “easy recipe for tomato soup” or “red sauce pasta recipe” etc. Your website must have long-tail keywords as well. This is because a lot of people are using virtual assistants like ok Google and Siri to conduct the search on the web. Now that you have researched on the keywords with the help of keyword tools, not next step is to start incorporating those keywords in the content. The content should be in accordance with the keywords and should be relevant. If your website is of footwear, then your content should reflect that. It is not that you have to bombard the keyword in every sentence of the content. Use the keywords in the first paragraph, then few times in the middle of the content and then make sure that the keyword is there in the ending paragraph. Your content should be keyword specific and also you have to make sure that the content is long enough that it gets recognized by Google. The content should be in-depth and must have relevance in every sentence. Also, it is not just about writing the content as per the keywords. Find some more context to it and write more content. For instance, if you are a real-estate brand, then writing the content about your projects and then writing few lines about the nearby vicinity and some trekking spots will drive the attention of the visitors. Always remember to add an extra hint of value in the content for the readers. Videos attract a good amount of visitors to the website. It helps the visitor to stick to the website for a longer period of time. Make sure that you are not adding more than 3 videos on the website as it will slow down. For instance, if you are digital marketing training institute then you can add real-time videos of the classroom sessions, student testimonials etc. This will also help the audience to know your brand. This navigational strategy helps in ranking the internal pages also higher in the Google’s search engine. So when you are interlinking the pages, it engages the visitor with your site and takes him deeper into the brand. For instance, if you are giving an internal link to the home page that direct it towards your product. And when the visitor reaches the product link then he may get diverted towards the blog section. So in this way, the visitor is spending more time on the website browsing different things. But also, there one thing you should keep in mind which is, it is not important to lin every page of your website. This is because the Google is only going to show the useful links to the visitor. You need to include the keywords in the title always, otherwise, the SEO will become weak. Your title should always be crisp and it should be such that the people will click on it and share it on social media platforms. Being a cosmetic brand then you can say like “Now get the smokey eye look in 5 minutes”, such kind titles will drive the attention of the audience. The number of website visits is important but when people start sharing your blogs on other platforms, your credibility in the market increases. So make sure that happens with your brand. If you are aiming to write SEO articles, then the images that you are providing with the content must have the alt text into it. 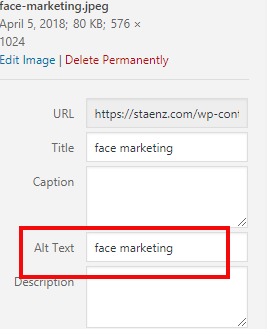 The alt text is basically provided if in case the visitor is not able to see the image then he or she can know what image is there with the help of the alt tag. Writing content as per the SEO specifications is not an easy piece cake. There are many aspects related to it. While writing the content in the WordPress make sure that the SEO and readability signals are green. To make the readability green you must have shorter sentences, easy words and less use of passive voice. The Yoast SEO gives you all the factors where you can improve your writing. Always remember the fact that hard work pays off. And if you are working genuinely towards SEO content writing then don’t worry you will succeed. Follow all the above pointers that will help you write those perfect SEO articles. If you are aiming for that extra chunk of organic traffic then you have to work for it. Stay ahead of all your competitors by tapping each and every opportunity in order to grow your online presence. vrey nice it is so much helpful for me.